Mix together flour, salt and baking powder in large bowl. 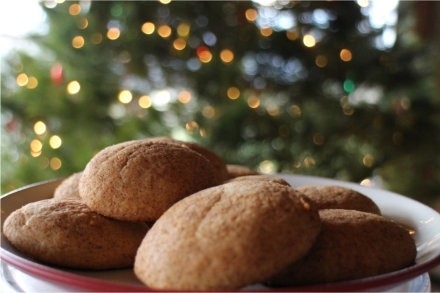 Use an electric mixer or hand mixer to blend butter and 1 1/2 cups maple sugar until smooth. Add in eggs and vanilla. Add flour mixture to wet ingredients and beat until smooth dough is formed. Preheat oven to 400. For coating, mix 1/3 cup maple sugar and cinnamon. Form 1 inch balls of dough and roll in coating. Space 2 inches apart on cookie sheets and flatten cookies to 1/2 inch thick with bottom of glass. Bake 8-10 minutes or until edges are a light golden brown. Cool on wire racks. 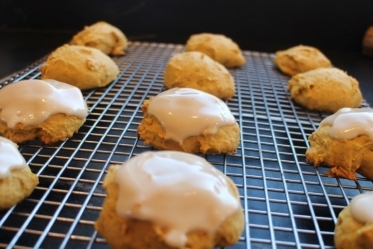 Maple cream makes this beloved cookie a show stopper!